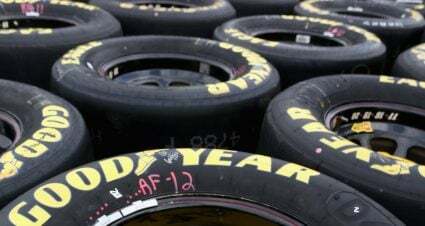 HOMESTEAD, Fla. – Joey Logano captured his first Monster Energy NASCAR Cup Series championship with a victory in Sunday’s Ford EcoBoost 400 at Homestead-Miami Speedway. 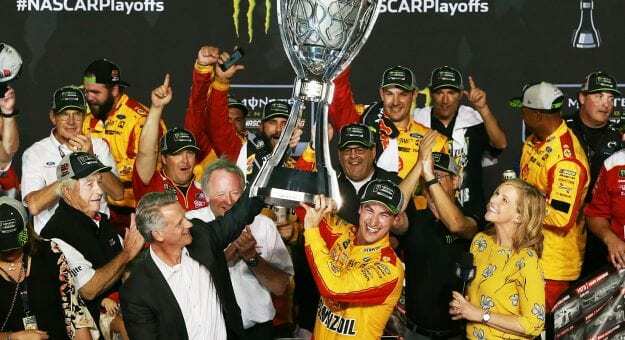 Logano made a late pass of Martin Truex Jr. and led the final 12 laps en route to his 21st career win and to become the 33rd driver to win the Cup Championship. Logano missed the playoffs last season but his late-season charge, that included an important win at Martinsville Speedway, helped propel the Team Penske driver to the crown. 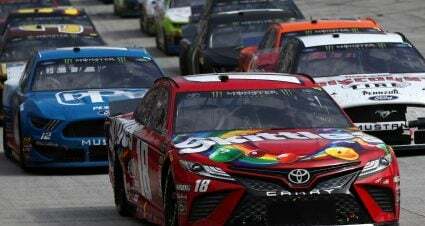 Truex Jr., Kevin Harvick and Kyle Busch followed Logano across the finish line as the Championship 4 swept the first four spots. 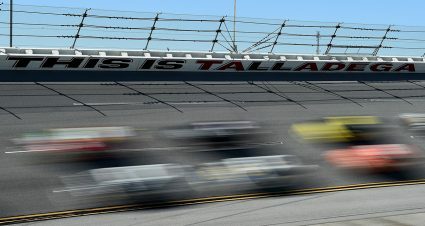 Brad Keselowski rounded out the top five. Matt Kenseth, Chase Elliott, Clint Bowyer, Aric Almirola and Kurt Busch rounded out the top five. How Logano Won: After all four Championship 4 contenders came to pit road for tires and fuel after a late caution, it turned into a shootout on track. 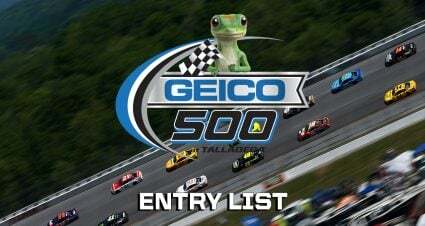 Logano was able to make a power move around Truex Jr. for the lead with 12 laps to go and once he was able to get ahead was able to pull away to a comfortable margin and went on to take the checkered flag and the championship. 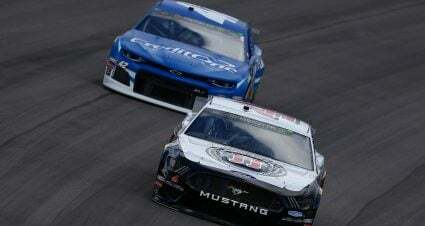 Who Had a Good Day: Harvick finished third in the 2018 standings with a career most eight wins, 23 top-fives and matched his career most and 29 top-10s which was a career high (Read More)…Kyle Busch finished fourth in 2018 standings with eight wins, matching his career most in a season, 22 top fivess and 28 top 10s, which were both his highs in a season (Read More)…Kenseth finished top 10 in the last two races of 2018 in what could be his last two races of his career. 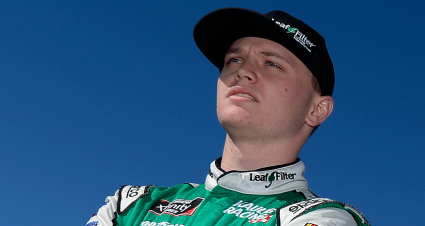 Who Had a Bad Day: Kyle Larson, who won Stage 2, was battling for the lead with just 74 laps to go but after a flat tire from hitting the wall was sent him to pit road and to a 13th-place finish…Erik Jones had a tire issue that sent him to pit road with some damage just under 50 laps from the finish. 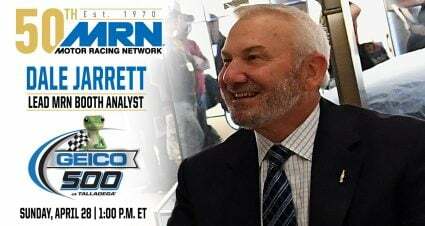 What Else Happened: Long green flag runs punctuated the race just as they did in Friday and Saturday’s Camping World Truck Series and Xfinity Series races. But Sunday also featured a much more challenging changing race track as the hottest afternoon of the weekend transitioned into different conditions once the sun went down. Teams had to change set-ups for the end of the final stage and those that found the right combination were the ones to succeed. Quotable: “I’m gonna miss these guys,” an emotional Truex Jr. after his final race with Furniture Row Racing. Notables: Logano scored his 21st career Cup victory…It was the fifth straight year the champion won the final race…The title was the first for Ford in the Cup Series since 2004…Ford scored its first manufacturers championship since 1991…Denny Hamlin (12 years) and Jimmie Johnson (16 years) had their consecutive winning season streak come to an end in 2018.